"USA" on one side and a heart made out of stars on the other. 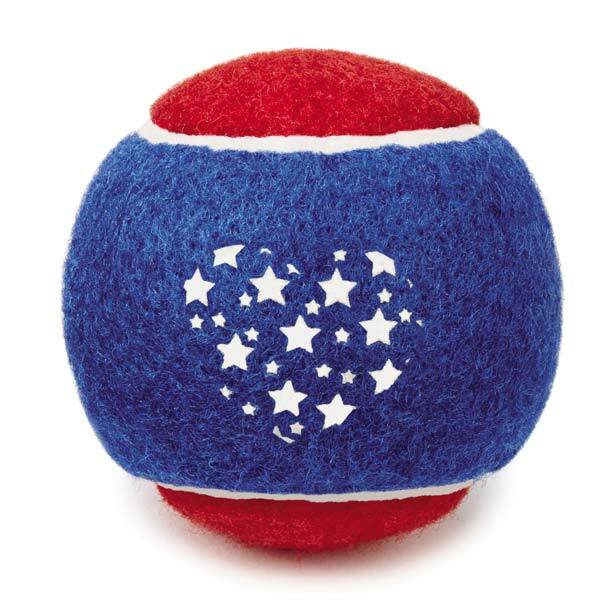 These red-and-blue Grriggles Stars and Stripes Tennis Balls feature "USA" on one side and a heart made out of stars on the other. 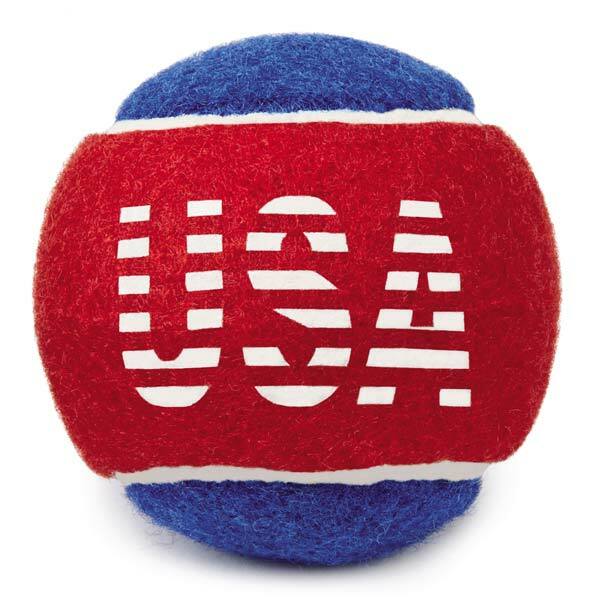 Size: Each is 2½" in diameter. 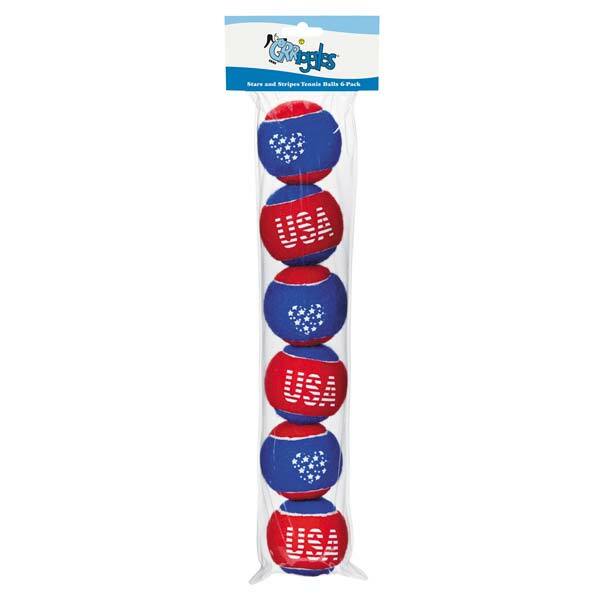 Available individually or save on handy 6-packs of Grriggles® Stars and Stripes Tennis Balls making it easy and economical to keep a supply of your dog's favorite toys. Order a six pack and save $3.00 over the regular price. Order 12 balls (two six packs) and save $12.00 over the regular price.